3 Bedroom, sleeps 6, luxury finishes. It is a 3 Bedroom house, with 3 bathrooms, large open plan living area, kitchen and Sun room. The house is in the middle of Multyfarnham Village. 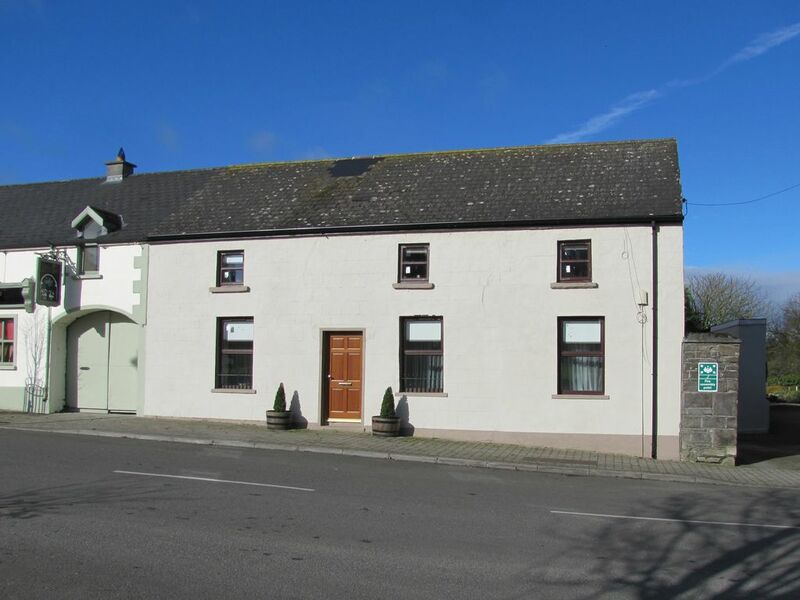 Completely refurbished to the highest standard, this house has every comfort you will need for a relaxing holiday in rural Ireland. You will be surprised when you enter the village, how beautiful it is, especially if the sun is shining. The house was completely renovated and the first rental was in 2012, therefore it is perfectly new and clean. The garden is being finished in the spring of 2013, it will have a safe water feature, a grass area and a patio area with barbecue facilities. Multyfarnham is a quaint rural village, set in the lake county of Ireland. From Dublin heading west, you take the M4 west, then the N4 west. You pass the exits for Mullingar and you see Lough Owel on your left. A mile past there, you will see the sign post for Multyfarnham. There is a right hand turn, (at the Covert Pub), take it and keep left at the little round about. Less than 2 miles from there is Multyfarnham. When you enter the Village, Weirs Bar & Restaurant is in front of you. Call in to meet us and we'll show you around. Our bordering counties are Meath, Cavan, Longford, Roscommon, Offaly and Kildare. All bedrooms are upstairs, so may not be suitable for clients using a wheelchair. Excellent accommodation in central Ireland. Highly recommended. Una and Pat gave us a great welcome and ongoing hospitality throughout our stay. The house is clean, tidy, and roomy with good facilities in a perfect location in the center of the village, between two cosy, friendly pubs. We stayed three nights in Multyfarnham and I have to say that Una was really super and did everything possible to make our stay enjoyable! From accepting the delivery of our lost luggage, to delivering our Sunday lunch to the garden of the house! Many thanks again, Una! Excellent excellent from the time I booked Una was a delight to deal with her home was agreat at layout that would cater for all ages except the infirm as bedrooms are upstairs kitchen was well appointed as was all the bedrooms with a lovely back yard there is a small shop up the road that has most things and the accomodation is nestled between two pubs bonus!! Great area and great house. Quaint town , loved the local shop, thanks Margaret for all your help. The house was wonderful with a lovely back garden that we all enjoyed. Spent several evenings next door in the Pub. Multyfarnham is a quaint rural village, set in the lake county of Ireland. From Dublin heading west, you take the M4 west, then the N4 west. You pass the exits for Mullingar and you see Lough Owel on your left. A mile past there, you will see the sign post for Multyfarnham. There is a right hand turn, (at the Covert Pub), take it and keep left at the little round about. Less than 2 miles from there is Multyfarnham. When you enter the Village, Weirs Pub is in front of you. The house is next door, so call into the pub to meet us. Our bordering counties are Meath, Cavan, Longford, Roscommon, Offaly and Kildare.